SIGMARAIL® with its thoroughly reduced, puristic design makes a pleasant contrast to the mass of conventional storage systems. It is elegantly proportioned, ageless, rooting from the tradition of Bauhaus, without superfluous frills. He who has a SIGMARAIL® to call his own proves himself to have style and shows that he loves the extraordinary. The singular profile form of SIGMARAIL® has been formed following the great Greek capital letter Sigma (token of the sum). The angular form is adopted to the perfect fit of your covers. 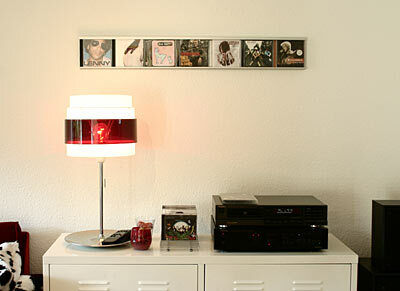 SIGMARAIL® displays the lined-up CDs, DVDs, or Blu-rays in a quite effective and elegant way without being obtrusive. SIGMARAIL® doesn’t replace traditional CD, DVD, or Blu-ray tower racks but it is rather a design stand to effectively arrange your most beautiful covers and favourite CDs, DVDs, or Blu-rays with. Therefore, SIGMARAIL® is a brilliant supplement of the stands you already own. With its heavy and thick aluminium walls and the tough anodised surface, SIGMARAIL® is a product for eternity you (and your children) will continually enjoy. 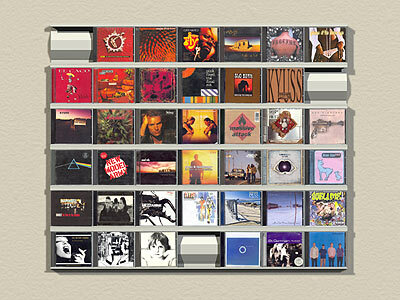 You can give your SIGMARAIL® a new face at any time: Just arrange your CDs, DVDs, or Blu-rays in a new sequence, and your rack will look completely different. Thus, your SIGMARAIL® will never be boring. 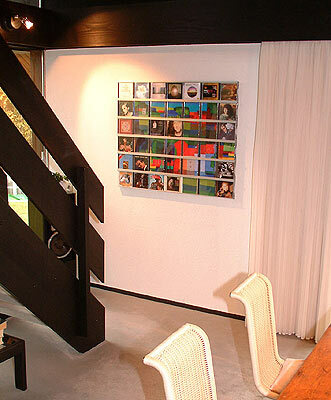 But you have a greater range of design opportunities with SIGMARAIL®: Put your own photos into the CD covers, cut up posters into 12x12 cm squares, and put them into the empty covers. So you will create an individual piece of art of your own. You start with a small solution, e.g. the SIGMARAIL® set of 3 rails for 21 covers. Every set is built up modularly and can be enlarged later on as you like it by purchasing further rails. 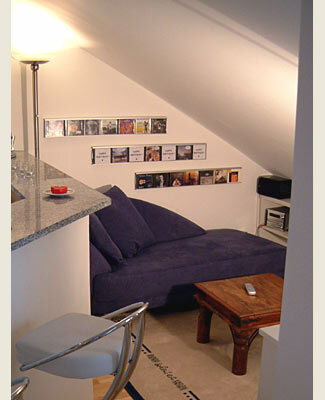 Thus your SIGMARAIL® grows step by step as your music or movie collection does. SIGMARAIL® is splendidly suited as a gift because of its extension facilities: You give away a starter set, and the lucky receiver may later on buy himself further rails and thus extend his Rack System.